Millions of players around the world play League of Legends regularly and Riot Games thought of a clever way to enhance the player experience and introduce more excitement into your battles. While the pros are on a break from gaming and preparing for the LCS 2018 – Season 8, game developer Riot Games has announced plans for a new competitive mode. In 2018, LoL will get a new feature called Clash and it is bound to attract even more players than ever. The arrival of Clash isn’t a rumor; the news has been officially announced by Riot Games. So, what is it actually? The Clash is a brand new team-based competitive mode which will allow premade teams of five to compete in online tournaments held by Riot. The goal here is to emphasize the importance and excitement of team play. 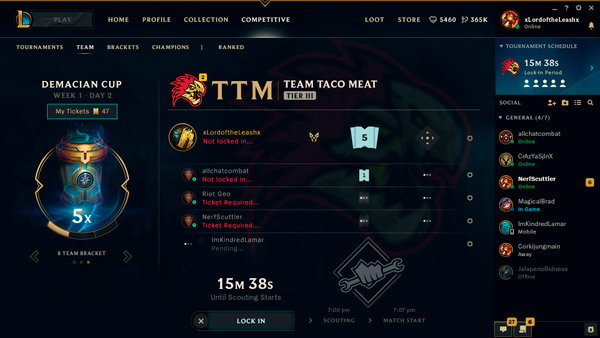 Developers from Riot Games and the officials wanted to introduce a new feature to the game, but at the same time, they wanted to do something that’s different from the Ranked Teams queue which is retired now. Basically, they noticed that players share common struggles – they find it difficult to team up effectively. The brainstorming, analysis of players’ habits and other data led to the development of Clash. The Clash mode will run a few times each month. During this time, you as a player will have the opportunity to assemble the team. Basically, you can create your team during weekdays and you’ll compete on weekends. Teams will compete in a series of single-elimination brackets against other teams whose skill levels match to yours. Every day games will become more exciting due to increased competitiveness. Why? That’s because if you win, you move on to face a team that won a match versus someone else on your server. The more games you win, the greater rewards you can win. Teams will be able to choose to play in a specific bracket during three days of competition. Bear in mind that if you sign on Friday, you have higher chances of winning important prizes because you’ll get to play more games. The Clash is an interesting feature that is bound to improve the way you play LoL in 2018. 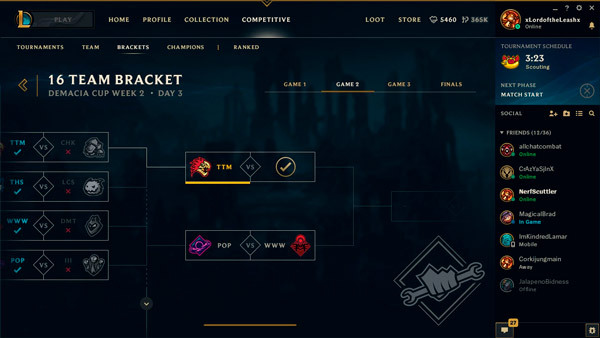 Players who participate in these competitions will also have access to analytics from the opposing team’s games and ban or pick a system that is identical to LCS. In order to enter Clash, you’ll have to purchase or earn tickets that you can use to “buy in”. These tickets will be available for purchase with RP or Blue Essence, but as always Riot Games will announce ticket sales and all the info you need. However, when you do purchase or earn the tickets, your team will get tournament capsules. At this point, there’s not much info about these capsules because Riot Games need to define them. Similarly to pro play, the Clash features a split draft where you can ban each team’s three champs, pick three, next day ban two and pick two etc. The first tournament starts on December 15 and all players will have to lock in 30 minutes before the competition starts. This will give each team a short scouting period where they can check out every opponent’s most commonly used characters and win rates associated with all of them. Riot Games announced a new feature called the Clash that will allow players to assemble teams and fight in championships from the comfort of their home. More about the new feature will be available early in 2018. The Clash will enhance team playing experience, match teams with similar skills levels, provide multiple prizes to teams who take part in the competition, and so much more. About the Author: Amna El Tawil is a news reporter and a technology blogger. For the past five years, she has worked for major publications and TV networks in the Middle East, covering one of region’s hotspots. When Amna is not chasing after the truth amidst gas canisters, she can be found cheering her favorite football team on, or unwinding with some online gaming.